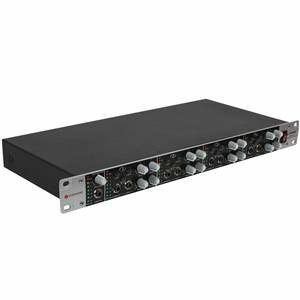 The Studiospares HAR4 is a professional 4 channel multifunctional Headphone Amplifier. Designed for any studio needing performance and flexibility. The Studiospares HAR4 is a professional 4 channel multifunctional Headphone Amplifier. Designed for any studio needing performance and flexibility. The Input and Output levels are displayed on a 7 segment LED ladder enabling the HAR4 to easily interface with other equipment. The Main inputs are on the rear panel via XLRs and Jacks with linked Thru Outputs for daisy chaining. This Stereo signal becomes a stereo buss available to all four headphone channels. 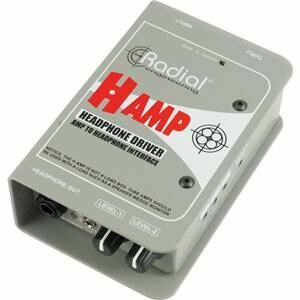 Each of the four Headphone channels includes:- Switches for Left Mute and Right Mute and a Stereo/Dual Mono operation. 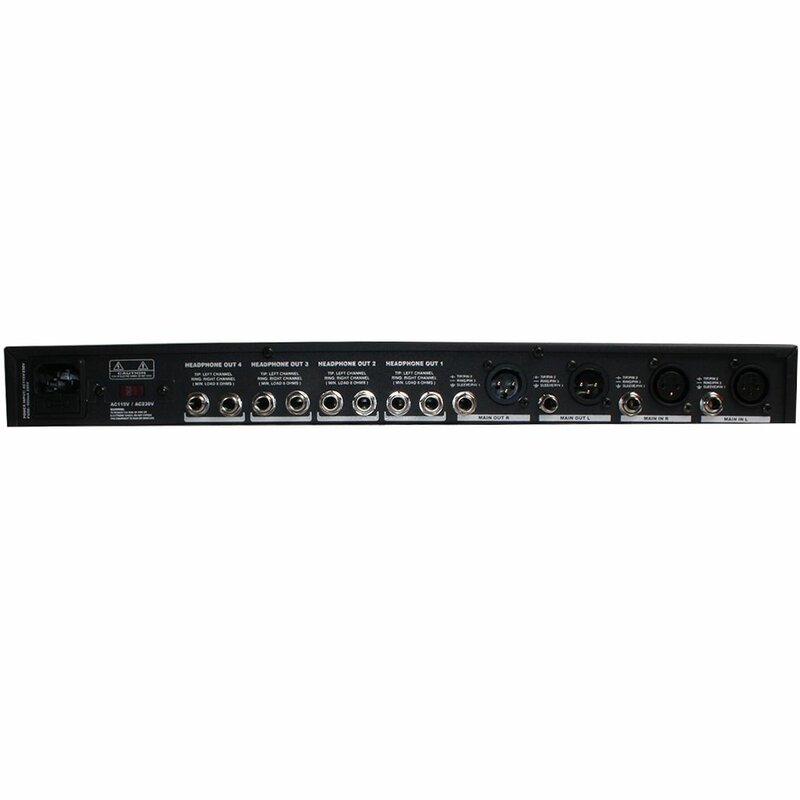 Controls are provided for Bass and Treble EQ, Output Volume and Mix facility between the main inputs and an Auxillary input. Jack sockets for the Auxillary input and Headphone Output. LEDs provide a visual indication of the Headphone Output Level. Amazing product especially for the money. 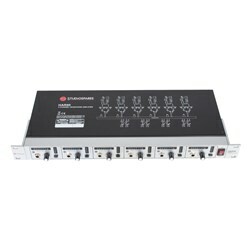 Having used several of these to power a headphone display wall in our shop I can say it is a great product. 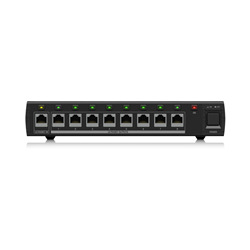 Never had an issues with noise and always getting a nice clean signal through. Been going for years and hopefully it'll keep going for a few more. Unfortunately after owning this product for a number of years... it never gets used because it is too noisy. 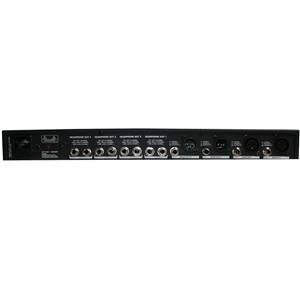 I have connected the outputs of my UR824 interface using 2x balanced jack -> XLR to the main input of the box, I have also connected my line outputs 2-8 from the back of UR824 to the Aux IN of headphones 2 to 4 to allow for different mixes per player. These are dual mono to stereo jack cables. 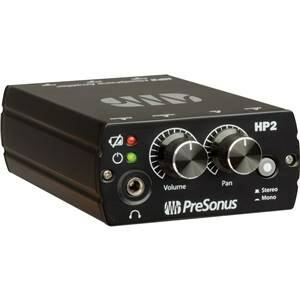 However, compared to the outputs of the UR824 headphones, the main input, and the aux inputs to 2,3 and 4 are very noisy and full of ground loop noise. That digital sort of electric noise. 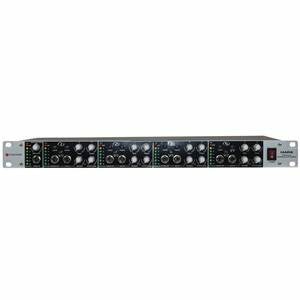 I can't see why because in the same rack I also have an ADA8200 which is silent on it's outputs (I use it for my front and rear monitors). Also the sound feeding the UR824 is actually coming through an ADAT cable from my RME RayDat. So there's no physical analouge connection with the computer either. I've also used it on location through a different power source and the horrible noise floor remains. I only came back to post a review as I am looking for a replacement which will hopefully be less noisy. I use all Studiospares cables to connect the UR824 to the Headphone Amp. Sorry StudioSpares, you normally deliver the goods but this one just hasn't worked for me. I have to apologize each time I track more than 2 musicians.